Kostas Gravanis, who is undertaking a PhD in History and Philosophy of Art in the School of Arts, has just been accepted for a six-month internship in the Vatican Museums. The Vatican Museums offer an education and training programme for young specialists and students in restoration techniques. Each intern is assigned to a specific project involved in the museum’s activities. Beginning in April, Kostas will be working in the area of the Stanze di Raffaello (Raphael Rooms). 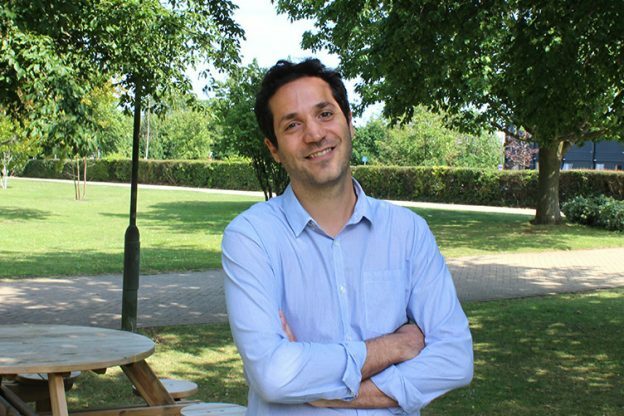 The internship is directly related to Kostas’ PhD research, as his project is provisionally entitled ‘Sources, Functions and Meaning of Imagery in the Vatican’s Raphael Rooms’. His PhD supervisors are Professor Tom Henry and Dr Ben Thomas. The Stanze are a series of reception rooms in the Vatican Palace, famous for their beautiful frescoes painted by Raphael and his workshop (1508-24). The internship will give Kostas the opportunity to get involved with projects for the forthcoming 500th anniversary of Raphael’s death in Rome as well as with on-going restoration work in the Sala di Costantino. Commenting on the internship, Kostas said: ‘Working in the Stanze at this specific time is a great honour and privilege. The anticipation of Raphael year 2020 is a thrill beyond words while the restoration projects are revealing fascinating new aspects of Raphael’s art’. Click her for more details on the Vatican Museum internships. This entry was posted in Campus online, Student Guide on 8 February 2019 by Sophia Cheraitia.